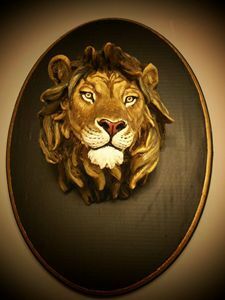 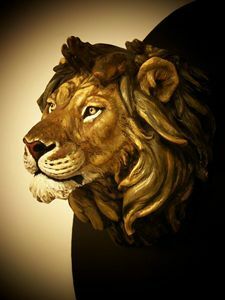 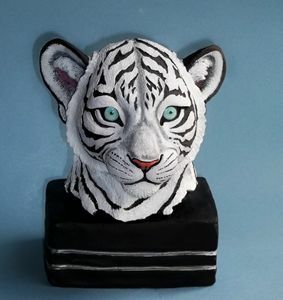 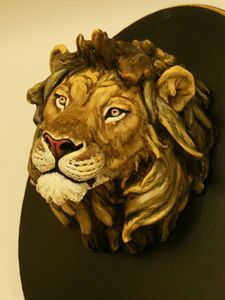 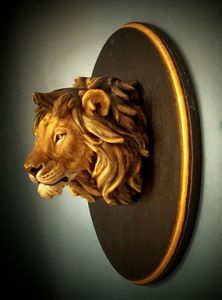 This lion head sculpture was made in hydro-stone and hand painted with acrylic paints. 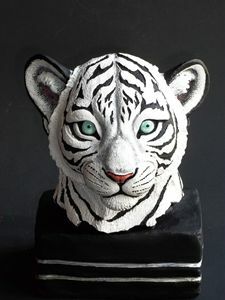 This is a highly detailed piece on both sculpting and painting aspects. 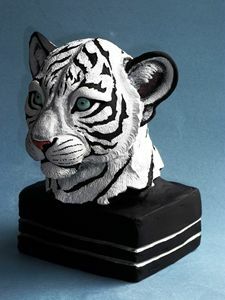 The sculpture itself measures about 6 inches in length and 5 inches width. 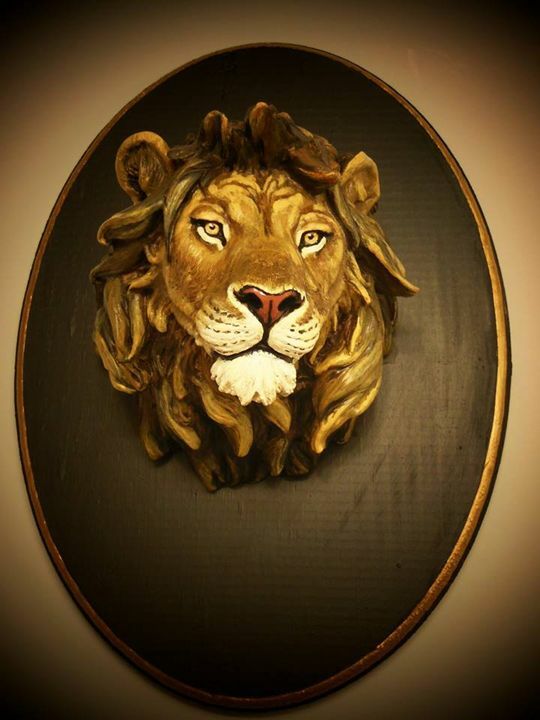 It weighs about 4 pounds including wooden base. 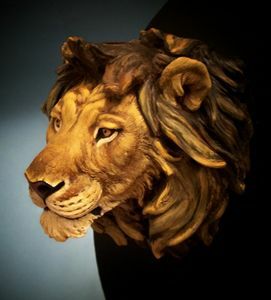 The sculpture was attached to an oval wooden base that measures 12X9 inches with a hanger on the back. 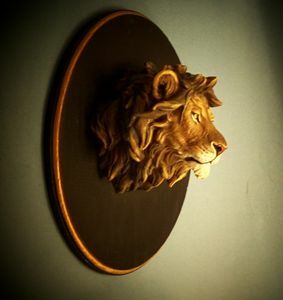 The base is painted in black with a gold paint trim all the way around.